Are you running low on baby supplies? Here is a list to help you stock up on the items you need for your little one at the best prices. 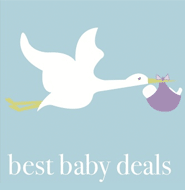 If you find any other deals on diaper, wipes, food or anything else for baby, leave a comment below. Publix – $3 off Huggies Diapers, 27-156 ct.
Pubix – $3 off Pampers Diapers, 58-140 ct.